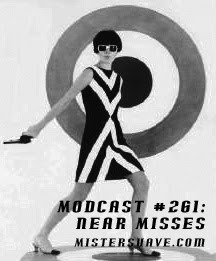 This week's show is called Near Misses. Each track here was previously considered for inclusion in a past show, but for whatever reason ended up not making the cut. Not because they're not good songs, but because I chose a different song by the band, or maybe ran out of time in the show, or something like that. At any rate, here then are a whole slew of almost made it tracks, that are getting a second shot at starring in the big show.